Written, composed and produced at Purklangmühle. except track 3 published by Mariko Music Publishing. ℗+© 2009 Inzec Records Switzerland. Holy cow - this is a fantastic album!! Marco Repetto is at the top of his form with programming so alive, so lithe and athletic, it's like listening to electronic music for the very first time. "La Foret des Arbres Parlante" snakes out of your speakers, it's one of the most exciting, riveting opening tracks I've heard in a long time. It's rivals Salt Tank's "Into the Light of the Shining Path" and Fluke's "Bullet" for that startling adrenaline rush to start an album that will stop you in your tracks no matter what you're doing. And it keeps going into the next one, "Nectar & Essence". Repetto has an uncanny knack to have several musical themes running parallel on any track, with plenty of off kilter beats, that only a handful of musicians are capable of keeping under control, awakening your body and imagination. 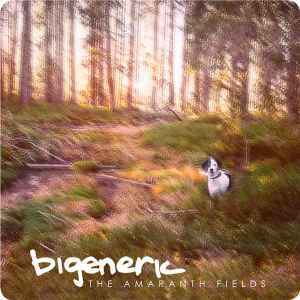 There's one startling track after another and ends with the lush, gorgeous "The Amaranth Fields". And the cherry on top is a very cute dog, Niki, on the cover.